Welcome to our Candlestick Charting Tools and Resources page! Candlesticks Charting techniques have been used by the Japanese for over 100 years. Steve Nison was the first to reveal candles to the Western world. He is recognized as the leader and source for candlestick trading in the Stock Market. Candle charts are older than bar charts, older than point-and-figure charts, but were completely unknown in the West – until Steve Nison introduced them through his articles, seminars, and his books and DVD's. 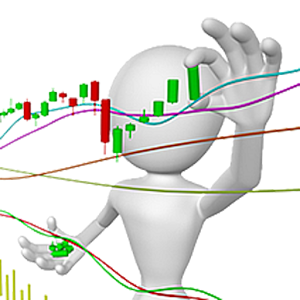 Candlestick patterns can be applied to stocks, bonds, and foreign exchange. These resources will help you to recognize and implement various candlestick patterns and lines in today’s real-world trading environment–giving you a noticeable edge in your trading activities. The goal is for you to discover and see how candles will provide early reversal signals, improve timing entering and exiting markets and can be merged with classic Western charting techniques. This will allow you to become a more confident and profitable stock trader! 1. The first course is the Candlestick Mastery E-Course. In my opinion, there's no better way to trade than using candlestick charts. Stock trader B.M. Davis has become well known for his expertise in candlestick trading the stock and forex markets. And he took a year and committed himself to create what I think is an outstanding Candlesticks trading course. This course is not only an in-depth study of candlestick charting but also a study of a candlestick system of trading. It will teach you everything that B.M Davis does and use to make money in the stock market using his candlestick system. You'll learn the basics up to advanced strategies all with illustrated examples and charts. How to tell which reversal signals are true and which ones are fake. This entire course is an incredible value. 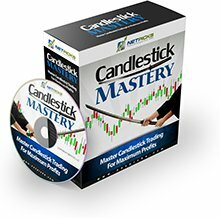 If you are serious about learning Candlesticks and want to be a successful and profitable stock trader, I truly recommend you take this course. 2. The second Candlestick course is the The Candlestick Express Class by world famous candlestick trader and coach Steve Nison. Steve Nison is known worldwide as the father of modern candlestick charts. He not only introduced this exciting and powerful charting method to Western traders, but he continues training thousands of traders every year. In the beginning, Steve only offered his expertise to top trading firms through his customized technical advisory and on-site seminars to institutional traders and analysts. His clients included J.P. Morgan, Fidelity, The Bank of New York, Goldman Sachs, Spear, Leeds and Kellogg, Morgan Stanley, hedge funds, and OTC and NYSE market makers. Currently, Steve is helping individual traders with candlestick charts methods that can help them win in any market conditions. His internationally bestselling book, Japanese Candlestick Charting Techniques has been translated into six languages. He holds an MBA in Finance and Investments. He was among the first to receive the Chartered Marked Technician (CMT) designation from the Market Technicians Association (MTA) and was nominated for the MTA's "Best of the Best" for Price Forecasting and Market Analysis. The Candlestick Express Class Program Is For EVERY stock trader, no matter if you are experienced or a beginner trader. It doesn't matter if you're a complete beginner or if you're a seasoned candlestick trader. Everything you ever wanted to know about Candlesticks is all here for you. This training is taught to you online, and you will get instant access to all this video training in Steve's online training center. This works on any connected device you may have. There are four training sessions, and you also get 3 free bonuses! The best person to teach you candlesticks is Steve Nison. He's the man that introduced them to Western traders, and remains the top source for candlestick training. 3. The third resource also from Steve Nison, is his FREE training, Candlecharts Academy. This site gives you $249 of Free training, with ongoing education added regularly. You will also receive private webcasts and his regular market updates so you'll know what he is seeing in the markets. Plus, students (which is you), get special discounts on all of his upgraded more advanced training there inside the Academy. Have you used any of our recommended Candlestick-Charting Tools and Resources? This course is very easy to follow with excellent lessons and a great system to use too! This is the most straight forward information I've ever studied on the subject of candlesticks! The videos really hammered home the lessons. Return from "Candlestick-Charting tools" to "Stock Resources and Products Page"
Return from "Candlestick Charting tools" to the Home Page: "Stock Market For Beginners"